Strong. Tough. Simple. Hi-tech materials redefine the traditional lip engaging coupler lock. Extruded, tempered aluminum body provides superior strength to weight ratio, a distinctive look, and great value. Simple, rugged push-button lock mechanism. Fits all flat lip 1-7/8" and 2" couplers. Rugged, textured powder coat finish. Double-sided automotive style key makes for easy insertion and removal. Shuttered key opening prevents clogging and freezing. 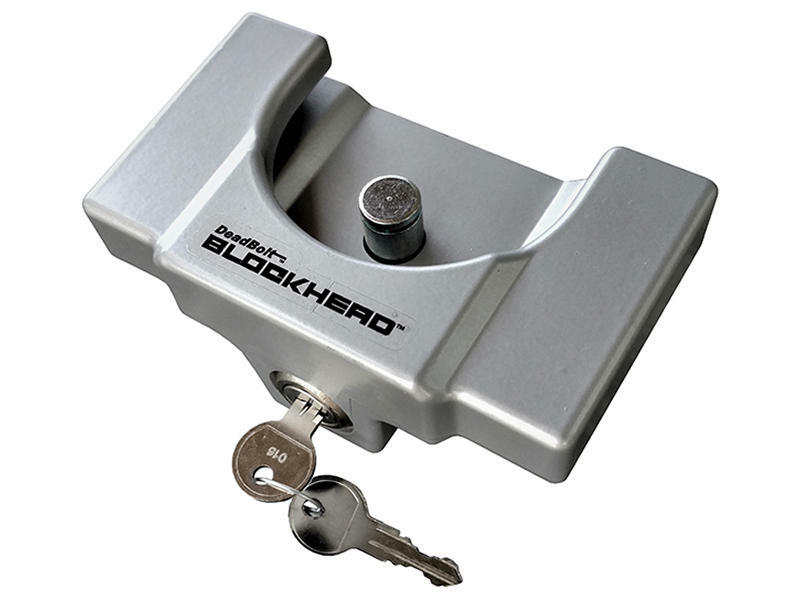 Uses standard DeadBolt key codes. Made in U.S.A. Fits all 1-7/8" and 2" lip-engaging, trigger style couplers. Coupler should have flat lip around the bottom. Maximum lip width: 3-3/4". Will not fit 2-5/16" couplers. Coupler should have rolled lip around the bottom. Maximum lip width: 3-3/4"
Simple push-to-lock operation. 1/4 turn of key to release.